Elizabeth Ludwig is an award-winning author whose work has been featured on Novel Rocket, the Christian Authors Network, and The Christian Pulse. Her first novel, Where the Truth Lies (co-authored with Janelle Mowery), earned her the 2008 IWA Writer of the Year Award. This book was followed in 2009 by “I’ll be Home for Christmas”, part of the Christmas anthology collection, Christmas Homecoming. In 2011, her second mystery, Died in the Wool (co-authored with Janelle Mowery) was nominated for a Carol Award. In 2012, the popular EDGE OF FREEDOM series released from Bethany House Publishers. Books one and two, No Safe Harbor and Dark Road Home, respectively, earned 4 Stars from the RT Book Reviews. Book three, Tide and Tempest, received top honors with 4 1/2 Stars. Elizabeth is an accomplished speaker and teacher, often attending conferences and seminars where she lectures on editing for fiction writers, crafting effective novel proposals, and conducting successful editor/agent interviews. 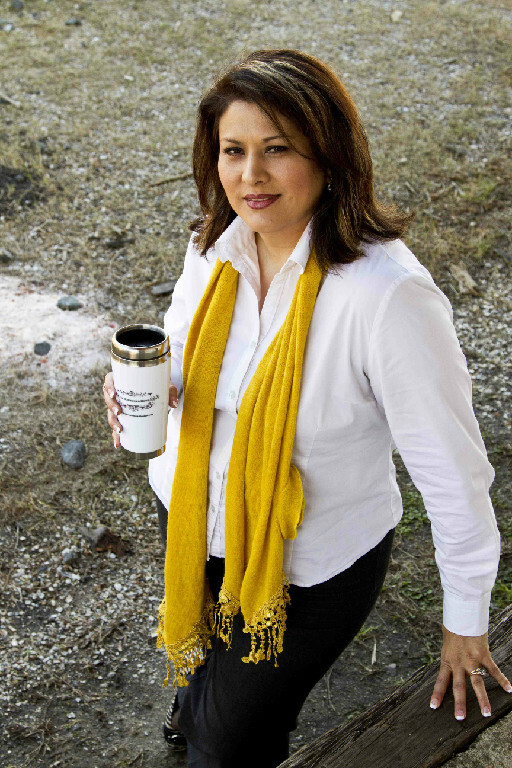 Along with her husband and children, she makes her home in the great state of Texas. Dreaming of a better life, Tillie McGrath leaves Ireland behind and, with her beloved fiance by her side, sets sail for America. But when illness robs her of the man she holds dear, she’s left alone with only a handful of tattered memories. While forging on proves difficult, Tillie soon finds some new friends at her New York boardinghouse, and begins pursuing a new dream–to open a home for orphaned children. Despite two years passing, Captain Keondric Morgan has never forgotten the lass who left his ship so heartbroken. When a crewman’s deathbed confession reveals her fiance’s demise was the result of murder, the captain knows he must try to contact her. But his attention draws the notice of others as well–dangerous men who believe Tillie has in her possession something that could expose their crimes. And to their way of thinking, the best way to prevent such an outcome is to seize the evidence and then hand Tillie the same fate as her naïve fiance. 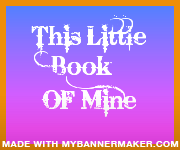 I love this book, and all of the others books from Elizabeth Ludwig. I ached so bad for Tillie because of the loss of her fiancé, and I was glad when she started meeting new friends at the boarding house she was staying at, and begin to heal. Then she finds out through a crewman that he fiancé’s death bed confession reveals he was murdered, her life changes and she’s suffering again. This is so much emotional heartache and tension in this book, and with the difficulties Tillie faces, you will not want to put this awesome historical fiction down after you start reading! 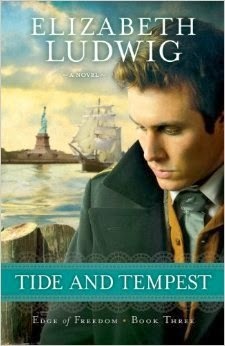 I highly recommend that you add Tide and Tempest to your reading list! You will not be disappointed in this one!! If you would like to read the first chapter of Tide and Tempest, go HERE. Litfuse Presents…No Safe Harbor….By: Elizabeth Ludwig Plus Kindle Giveaway! She came to America searching for her brother. Instead all she’s found is a web of danger. Cara Hamilton had thought her brother to be dead. Now, clutching his letter, she leaves Ireland for America, desperate to find him. Her search leads her to a houseful of curious strangers, and one man who claims to be a friend–Rourke Walsh. Despite her brother’s warning, Cara trusts Rourke, revealing her purpose in coming to New York. She’s then thrust into a world of subterfuge, veiled threats, and attempted murder, including political revolutionaries from the homeland out for revenge. Her questions guide her ever nearer to locating her brother–but they also bring her closer to destruction as those who want to kill him track her footsteps. With her faith in tatters, all hope flees. Will her brother finally surface? Can he save Cara from the truth about Rourke… a man she’s grown to love? Cara Hamilton travels to New York looking for her brother, a brother she thought was dead until recently. Something she thought would be an easy task, but it ended up being anything but easy. What she didn’t know what that people wanted her brother dead. And since he didn’t meet her on her arrival in NY, the journey begins to find out what has happened. Cara has a tough beginning in her new adventure because he didn’t know anyone, and her brother had told her not to trust anyway. I enjoyed Cara’s character; she was sweet and vulnerable, not like most of those in the boarding house she was staying in. And she did a wonderful job taming Rourke! He just seemed to melt at her very appearance. The vivid description of New York in the 1890’s was very interesting and it was nice to see NY in another era. No Safe Harbor is a historical story with a little suspense and a neat little romance to go with it. If you enjoy historical romances, you will love this one! Pick up your copy today! A copy of this book was provided by LitFuse Publicity Group. I want to thank Amy for making sure I rec’d this book, even though the publisher didn’t send it in time for the tour. The opinions in this review are mine only. 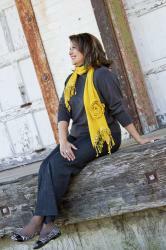 Elizabeth Ludwig is an award-winning author and an accomplished speaker and teacher. Her historical novel Love Finds You in Calico, California earned four stars from Romantic Times. and two children, Elizabeth makes her home in Orange, Texas. Enter today by clicking one of the icons below. But hurry, the giveaway ends on December 5th. 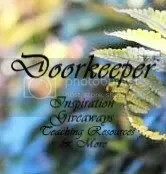 Winner will be announced at the “No Safe Harbor” Author Chat Facebook Party on 12/6. Connect with Elizabeth, get a sneak peek of the next book in the Edge of Freedom series, try your hand at the trivia contest, and win some great prizes—gift certificates, books and a Book Club Prize Pack (10 copies for your book club or small group)! Don’t miss a moment of the fun, RSVP today. Tell your friends via FACEBOOK or TWITTER and increase your chances of winning. Hope to see you on the 6th! Elizabeth Ludwig is an award-winning author whose work has been featured on Novel Journey, the Christian Authors Network, and The Christian Pulse. Her first novel, Where the Truth Lies, which she co-authored with Janelle Mowery, earned her the 2008 IWA Writer of the Year honors. This book was followed in 2009 by “I’ll Be Home for Christmas,” part of a Christmas anthology collection called Christmas Homecoming, also from Barbour Publishing. In 2010, her first full-length historical novel Love Finds You in Calico, California earned Four Stars from the Romantic Times. Books two and three of Elizabeth’s mystery series, Died in the Wool (Barbour Publishing) and Inn Plain Sight (Spyglass Lane), respectively, released in 2011. Coming in 2012 is Elizabeth’s newest historical series from Bethany House Publishers. 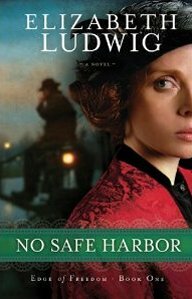 No Safe Harbor, the first book in the Edge of Freedom Series, will release in October, with two more books following in 2013 and 2014. Elizabeth is an accomplished speaker and teacher, and often attends conferences and seminars, where she lectures on editing for fiction writers, crafting effective novel proposals, and conducting successful editor/agent interviews. Her popular literary blog, The Borrowed Book, enjoyed a wide readership in its first full year, with more than 17,000 visitors in 2011. Along with her husband and two children, Elizabeth makes her home in the great state of Texas. Lured by a handful of scribbled words across a faded letter, Cara Hamilton sets off from 1896 Ireland on a quest to find the brother she’d thought dead. Her search lands her in America, amidst a houseful of strangers and one man who claims to be a friend–Rourke Walsh. Despite her brother’s warning, Cara decides to trust Rourke and reveals the truth about her purpose in America. But he is not who he claims to be, and as rumors begin to circulate about an underground group of dangerous revolutionaries, Cara’s desperation grows. Her questions lead her ever closer to her brother, but they also bring her closer to destruction as Rourke’s true intentions come to light. If you would like to read the first chapter of No Safe Harbor, go HERE.